Another teaser from my book, “Palmetto Pioneers”, a story about the Andrews and the Walkers in Old Florida. Indian attacks in frontier Florida were frequent, especially during the Second Seminole War. According to Congressional records, this war which began in 1835 and didn’t end until 1842 was the longest and costliest Indian war in U.S. history. The first settlers of Middle Florida, that area between the Suwanee and Apalachicola Rivers, bought their properties from the US Government and found a land in which all the native inhabitants were not ready to leave. These first settler families scattered throughout this region and were terrified by the attacks. Some left the area for good, some sent their wives and children to nearby relatives in places like Charleston or New Orleans, and some stayed. The Walker families decided to stay. Here is what might have happened to sixteen-year-old Mary Adeline Walker and her family when their neighbor Rev. Purifoy was attacked and his children killed on the last day in March of 1838. The Purifoy’s lived about seven miles southwest of her family’s home. All the dialogue is created by me to tell the story. What we do know, though, is where the Walkers lived in proximity to the Purifoys, where Mr. Scruggs and the Lightsey family lived, and what kind of day it was the morning after the incident. It was a blustery, chilly morning; and Mary along with her mother Elizabeth were in the warm smokehouse washing clothes. Last night, a front had moved through; but the skies today were clear and blue. Her mama didn’t wash every week, but it was time. The family had a wash shed; however, because it was cold outside they were in the smokehouse today. Her dad had moved the big boiler out there as soon as it turned cold last November. Dark-haired Mary was a tall girl, having gotten her height from her father’s side of the family. All her Grandmother Carter’s brothers and sisters were known for towering over most folks. Her mama Elizabeth, though, was average height like all the Wilson’s on her mama’s side. Both Mary and her mother were thin, having plenty to eat but too much to do. Mary was stirring the clothes in the hot boiling water, which had been amended with ashes and lye. Her mother, always hovering, explained everything as they went. 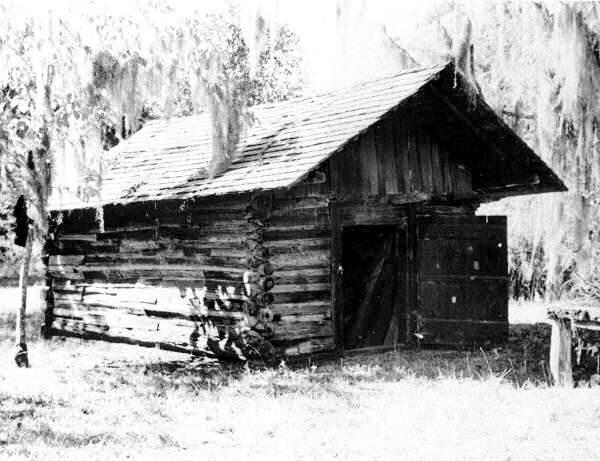 The smokehouse was a small cubical log structure. It had a steep roof for holding in the smoke, where cuts of pork were hanging overhead. The family had had its annual hog slaughter in November. In the center of the earthen floor was a small square fire pit where there set several boiling pots. Elizabeth said, “Now add the ashes and lye. Too much and your hands will get chaffed. Too little and the clothes will yellow.” She added that their neighbor old Mrs. Lightsey taught her this in South Carolina. Elizabeth pushed a damp curl back from her glistening forehead and continued, “This is so much easier than the way my mama did it”. She was talking about the act of washing itself. She hesitated as she tried to scrub a spot out of a child’s shirt. “That’s why I try to do our clothes at least every two weeks because it is so hard to get the dirt out if you wait any longer,”. Mary used the large wooden fork to lift the cleaner clothing in order to let them drain before swinging them over into the wooden tub of rinse water. There was another wooden tub for blueing and starching, both on a table along the side wall. The smoke house was steamy though they kept a window cracked. Otherwise, it was warm and humid inside. Later, they would have to remove everything and let the fire burn down, drying the air inside. Both of them heard it at the same time. Outside, a rider was approaching at full gallop. People didn’t do this unless there was trouble. The recent Indian massacres had everyone on edge, so much so that upon any new attacks citizens became couriers to alert their neighbors to arm themselves as quickly as possible. Mary and her mother both dropped everything and ran around to the front of the house, just as Mary’s father Jesse and her older brothers came running in from the woods line where they had been cutting down trees to expand one of the fields. The rider was William Scruggs, and he was so excited and out of breath that all they could understand was the word “Indians.” “James, go get Mr. Scruggs and his horse some water”, said Mary’s dad; and her eleven-year-old brother James tore out around the back of the house. Mr. Scruggs stepped down off his horse and leaned over trying to catch his breath. He said, “Indians hit Rev. Purifoy’s house, and…”; and he looked at all the little faces looking up at him. “But Daddy, it’s not time for dinner,” said Sarah. “Sarah Jane!,” her mother said and glared. Sarah started herding the little ones toward the house. He took a few more sips of water while James finished watering his horse. Then Mr. Scruggs stepped back up into his stirrups and said, “I need to ride on and keep the word spreading. Jesse, can you or one of your boys here ride and let the Lightsey’s know. I’ll double back south and ride on to the Cuthberts and Bellamys. Much obliged for the drink,” and he dug his spurs deep and the horse lurched forward, disappearing down the lane. Henry came running out of the barn with his saddle, and the other boys were already catching Josie, their fastest horse. Together they saddled him; and Jesse said, “Henry, make tracks. The faster you get there and back the better,” and he handed his oldest son his gun and slapped the horse’s right flank. Henry lit out north on the Salt Road.